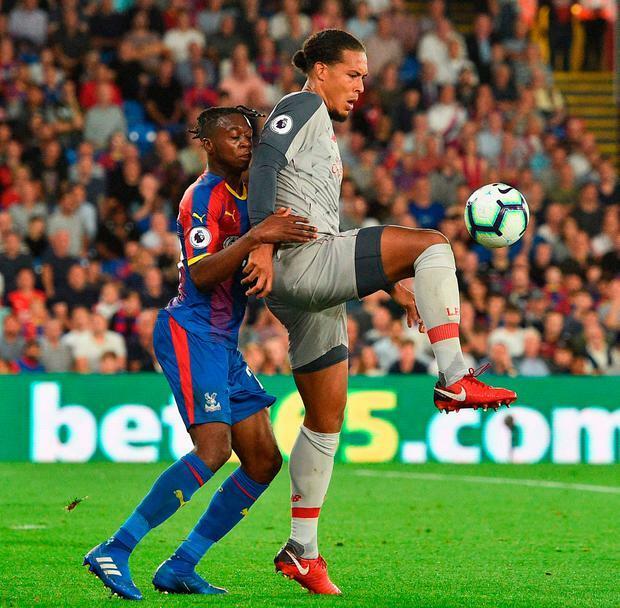 The most obvious change between Liverpool a year ago and the side looking so much more reliable and robust against Crystal Palace on Monday night is that they have different players. When you spend €83.5m (£75m) on a centre-back in Virgil van Dijk and €72.5m (£65m) on a goalkeeper in Alisson, you expect them to be better. So far, they are. Consider the back five (including Alisson) against Tottenham on October 22, 2017, a game lost 4-1 and which preceded a 31-match run in which Liverpool have the best defensive record in the league, conceding the fewest goals and shots on target. Simon Mignolet, Alberto Moreno, Joel Matip, Dejan Lovren and Joe Gomez started that day at Wembley. Lovren has been part of the vast improvement, but only Gomez played against Spurs last October and at Selhurst Park on Monday, and now he is a centre-back rather than right-back. Andy Robertson and Trent Alexander-Arnold have since emerged as first-choice full-backs, while the addition of Van Dijk last January has made a tangible difference. Add Alisson and two areas which had been an area of weakness have improved. Throughout the course of a season team meetings are held which, for maximum dramatic impact, we like to describe as ‘summits’. To those involved they are routine and regular, but in retrospect some group discussions called by the captain or manager look more important. Two stand out from last season, the first following Liverpool’s heavy defeat by Spurs at Wembley, but also after a three-goal lead was surrendered in Seville during the group stages of the Champions League. 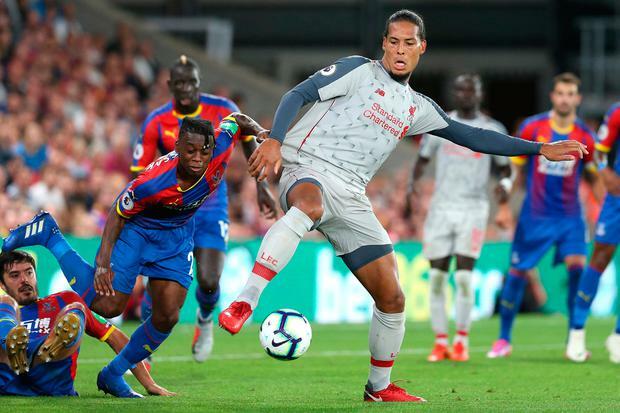 Rather than a shift in tactics, Jurgen Klopp ordered his players to be more streetwise, noting small but not inconsequential details, such as how they would run to take throw-ins when it was the opponent who was playing against the clock. Liverpool have since recognised that slowing the game down when ahead is as important as playing with a high tempo when trying to push ahead. They look a more savvy team now. 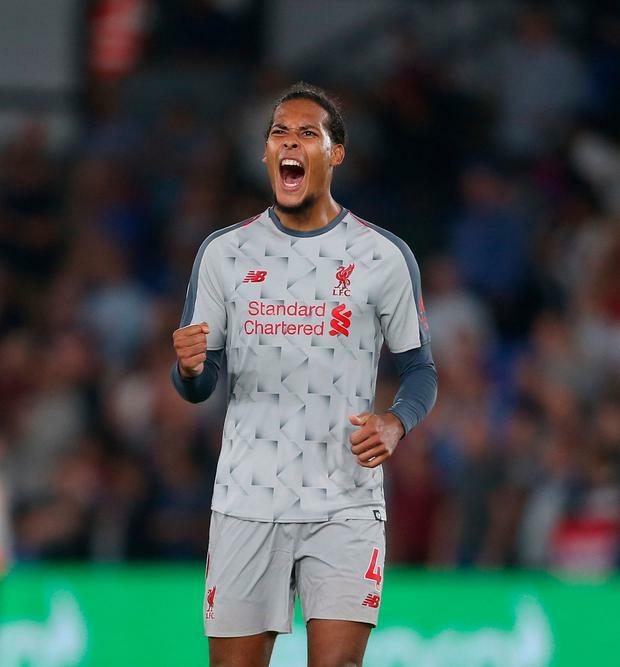 While it is easy – and accurate – to observe Van Dijk’s influence, the defensive improvements pre-date his introduction in January of last season. Liverpool were unbeaten in 10 of their 14 Premier League games before Van Dijk’s debut. Whenever Klopp was asked about Liverpool’s poor defensive performances, he continuously attributed the problems to individual lapses in concentration rather than a systematic issue – a point he made publicly and privately after that Spurs loss. He was not going to compromise the high defensive line and pressing style. Klopp had a point, as so many goals were conceded due to mistimed tackles or weak goalkeeping. The counter-argument was the same culprits tended to be guilty and the issue would not be resolved until they were replaced. Liverpool paid the price in the Champions League final when goalkeeper Loris Karius failed, but generally the players make fewer mistakes. In the Premier League, only two errors have led to goals in their last 31 games – the lowest of any current top-flight team over that period. The serial offenders are playing fewer games, or in Karius’s case heading out of the club. Philippe Coutinho’s sale to Barcelona deprived Klopp of an exciting attacking weapon, but since his departure there has been a more pragmatic look to Liverpool’s midfield. After Coutinho’s departure, Alex Oxlade-Chamberlain shone before injury and James Milner has been playing the best football of his Liverpool career since returning to midfield after a season at left-back. The midfielders are more adept at protecting the defence as much as supporting the front three, closing down the opposition when they try to build attacks. This was not the strongest element of Coutinho’s game. Naby Keita’s introduction to English football is so exciting because on the evidence of his first two games he is an all-rounder. He has the capacity to be both a dynamic, creative midfielder, while shielding the back four and stopping counter-attacks at source. For a manager who instructs so many players to get into the opposition’s penalty area, it is encouraging for Klopp just how few opponents are successfully counter-attacking against his team. There comes a point in a team’s evolution when opponents play with fear, setting up so negatively they struggle to get out of their half, let alone create opportunities. Manchester City have created that aura, in the same way as Alex Ferguson’s Manchester United seemed to have games won at Old Trafford against bottom-half Premier League teams before kick-off. Liverpool are not there yet, but fixtures at Anfield are starting to take a familiar pattern. Although opposing managers will insist their defensive strategy is designed to frustrate and claim a point or narrow win courtesy of a rare counter-attack or set-piece, for the most part they have the stench of damage limitation. Ultimately, Liverpool are an improving team. It is difficult to get the ball from them, and during more encouraging periods for an opponent it is getting tougher to penetrate their defence. Liverpool have kept 16 clean sheets in their last 31 League games. No visitor has scored a Premier League goal at Anfield since February. Barring injuries, it will not just be the exciting front three dominating the agenda this season, but their more tenacious back four. Far bigger tests lie ahead – both in the Premier League and in Europe – but on the early evidence, Klopp is close to having a squad capable of reviving the glory days at Anfield.